Founded in 1991 by Bill “Doc” McCabe and his wife, Annis, The Sedalia Center operates as a non-profit with a mission of inspiring all to explore the living arts and the art of living, and along the way discover the creativity and imagination in each of us. 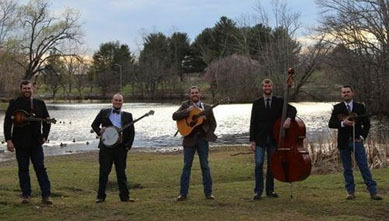 McCabe started the Bluegrass festival shortly thereafter as a way to gather the community for a series of bluegrass concerts, local camaraderie, and a celebration of this vibrant and arts-focused event venue. 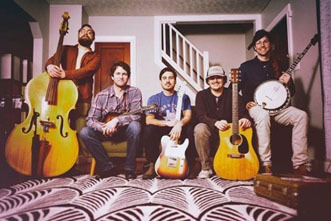 To raise money for the 2020 festival, Sedalia will host Richmond, Virginia-based South Hill Banks & local favorite New Standard Bluegrass on July 20th for a night of both old and new styles of bluegrass music. General admission tickets are only $20, with tent ($20/night) and RV ($30/night) camping available. Thanks to generous support from the Bedford Electric Utility, community members who are customers of the utility are offered half-price admission, limit two tickets per household. Attendees are invited to camp Friday night and are encouraged to bring their instruments and gather for an open jam session on the main stage Friday evening from 7-11pm. Regular admission gates open on Saturday, July 20th at 4pm, with bands taking the stage at 6pm and 8:30pm.